Grygorii Kaletnik believes that in politics, science and business it is necessary to remember not only where we are now, but in what direction we are moving. He is known as a person who offers and implements all his projects into reality. He is full of unlimited energy, optimism, persistence, purposefulness and a great desire to work. 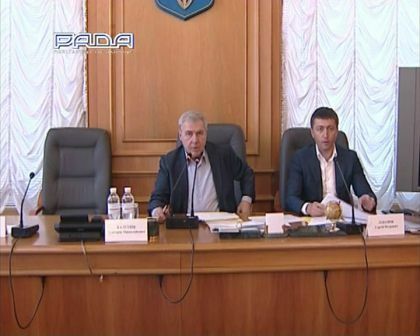 On April 16, 2014 at the meeting of the Committee of the Verkhovna Rada of Ukraine on Agrarian Policy and Land Relations with the participation of the Ukraine’s association of village heads was examined the question about sustainable development of villages and towns of the country. 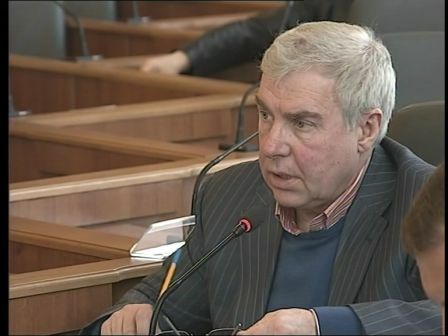 On April 14, 2014 the Chairman of the Committee on Agrarian Policy and Land Relations Grygorii Kaletnik in his speech at the conciliatory council of leaders of deputy factions and heads of parliamentary committees offered to add to the agenda the draft Law of Ukraine "On Amendments to Certain Legislative Acts of Ukraine (for improving the regulation of the relations on objects of real property "), Reg. № 2049 a. On April 8, 2014 the Verkhovna Rada of Ukraine adopted as the base the Law of Ukraine "On Amendments to the Law of Ukraine "On Higher Education", Reg. № 1187-2, taking into account the suggestions and regulations of alternative bills, the author of one of them is the people’s deputy of Ukraine Grygorii Kaletnik. 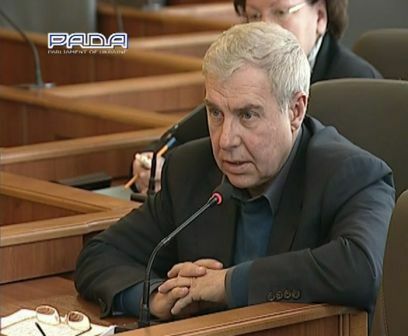 On April 4, 2014 in his speech at the conciliatory council of leaders of deputy factions and heads of parliamentary committees the Chairman of the Committee on Agrarian Policy and Land Relations Grygorii Kaletnik offered to add to the agenda the next bills. On March 25, 2014 the session of the Committee on Agrarian Policy and Land Relations of the Verkhovna Rada of Ukraine took place. 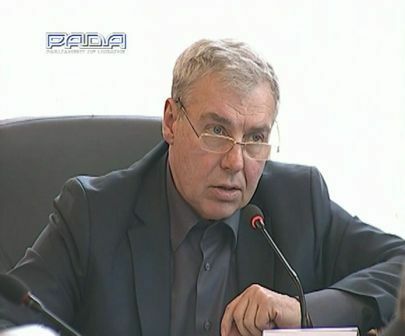 It was chaired by the Chairman Grygorii Kaletnik. 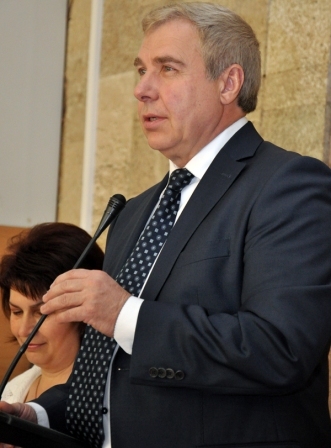 On March 24, 2014 in his speech on a conciliatory council of heads of parliamentary factions and heads of the committees of the Verkhovna Rada of Ukraine the Chairman of the Committee on Agrarian Policy and Land Relations Grygorii Kaletnik offered to include to the agenda of the session the bills, which today are very important for further development of the agrarian sector of the country. 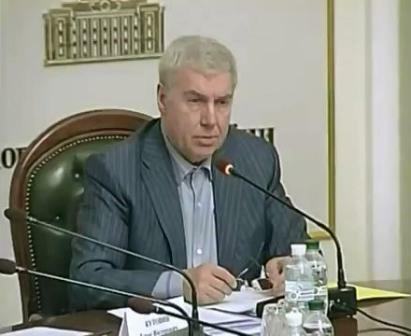 On March 18, 2014 the meeting between the Chairman of the Committee of the Verkhovna Rada of Ukraine on Agrarian Policy and Land Relations Grygorii Kaletnik and the management of All-Ukrainian Association of Village and Town Councils took place. 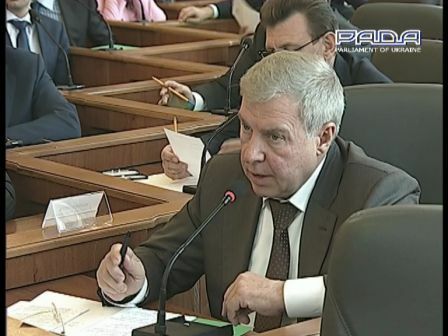 On March 17, 2014 a joint session of the Committee of the Verkhovna Rada of Ukraine on Agrarian Policy and Land Relations and the Ministry of Agrarian Policy and Food of Ukraine headed by the Minister Igor Shvaika took place. 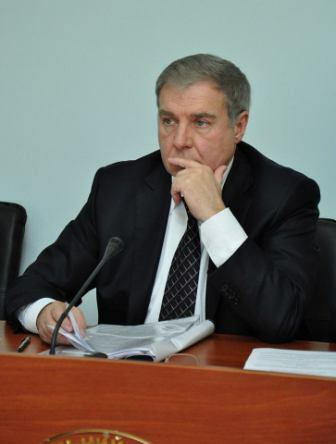 On March 3, 2014 the people's deputy of Ukraine Grygorii Kaletnik introduced to the consideration of the Verkhovna Rada of Ukraine a draft Law of Ukraine "On Amendments to Article 122 of the Land Code of Ukraine». 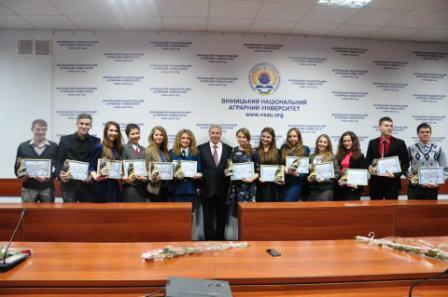 The appeal of the President of Vinnytsia National Agrarian University Grygorii Kaletnik to students of VNAU! As the Verkhovna Rada of Ukraine is working a little, I really hope that today, finally, will be declared my pronouncement about my withdrawal from the Party of Regions and the Faction that was written by me on Feb. 17, 2014. On February 6, 2014 the people’s deputy of Ukraine Grygorii Kaletnik with colleagues enrolled a draft Law of Ukraine "On Amendments to some Legislative Acts of Ukraine regarding the right to lease agricultural land for agricultural use for conducting agricultural commodity production"
On January 31, 2014 the meeting of the Academic Council of the university, chaired by the President of VNAU Grygorii Kaletnik took place. 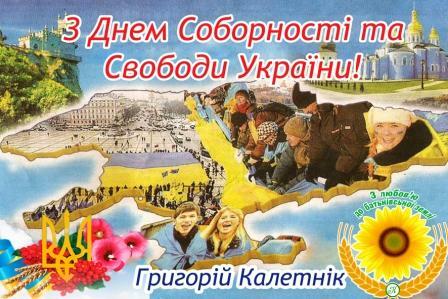 Day of Reunion and Liberty of Ukraine! Dear countrymen! Dear University’s family! 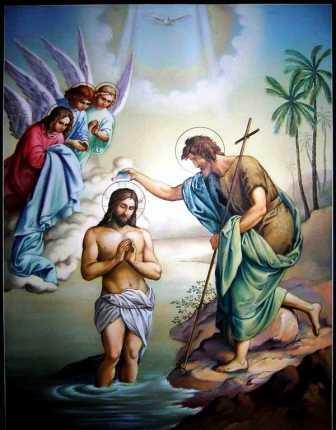 Today together with all Orthodox world we celebrate an important and bright Christian holiday - Epiphany of the God, which is known as Epiphany. This is one of the most joyful winter holidays of Ukrainian people. Dear countrymen, university’s family!I heartily congratulate You with New Year and Christmas! 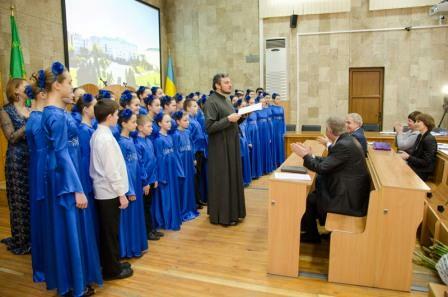 On 27th December, 2013 members of the Choir of Holy Transfiguration Cathedral visited Vinnytsia National Agrarian University. On 20th October , 2013 in the village Krasnenke of Illinetska district assistants of the deputy of Ukraine Grygorii Kaletnik greeted Palaheia Feodosiivna Tupitska with the 90th anniversary. Grygorii Kaletnik gave material assistance, sweets, fruits and sincere wishes to Inna Dudnichenko, the head of Illinetska regional public organization "Hope of invalids." 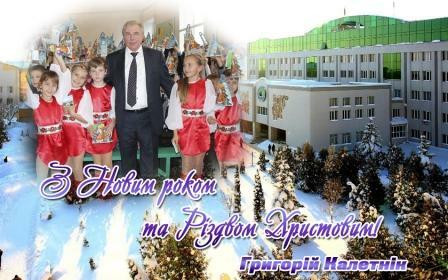 On 10th September, 2013 in the village Lopatynka was cut the ribbon and fulfilled the expected opening of the kindergarten. On 9th October the whole planet celebrated the World Post Day. On 5th the picturesque coastal village Poberezhne of Vinnytsia region celebrated 460 years since its foundation. The deputy of 18th district gives good mood and happiness to long – livers. On 21 September Grygorii Kaletnik organized the final of the inter-football tournament among boys of 2000-2002 year of birth. On 15th September Grygorii Kaletnik took part in the celebration of the 1000th anniversary of the foundation of St. Usiknovenskyi Liadivskyi rock male monastery. Grygorii Kaletnik greeted Chornonos Natalia Afanasivna with the 90th birthday. On 22 July at 18 p.m Grygorii Kaletnik visited Uladovo-Liulynetska research and selection station together with the director of the Institute of bioenergy crops and sugar beets of NAASU Royik Mykola and members of the delegation from China. On 14th July Grygorii Kaletnik visited picturesque village Grabovets and holiday “Bow to my native village”. On 6th July Grygorii Kaletnik congratulated the citizens of the village Leukhy of Illintsi district with the Ivana Kupala Day.